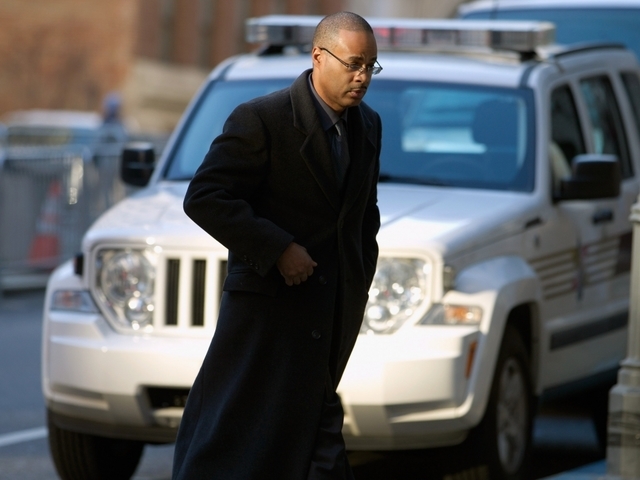 BALTIMORE (AP) — The judge explained why he found a police driver not guilty in the death of Freddie Gray, a 25-year-old black man whose neck was broken on the way to the station: He didn't see any evidence of a crime. 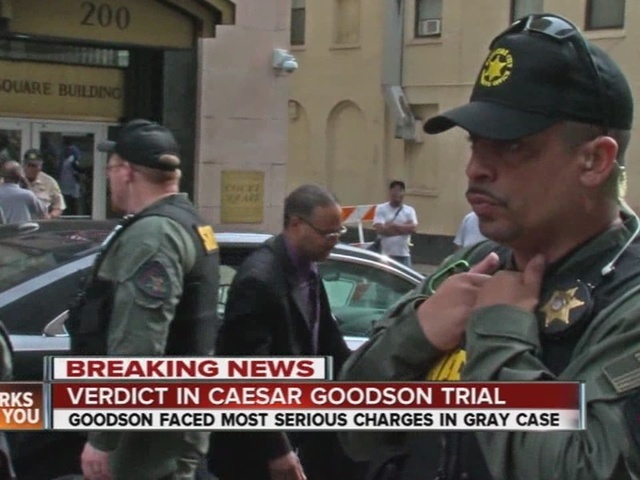 The acquittal of Officer Caesar Goodson on all charges Thursday in Gray's death is the worst blow yet to efforts to hold police accountable in a case that triggered riots in the troubled city. The state's third failure to win a conviction raises doubts about whether any of the six indicted officers will be found guilty in Gray's death. The case became a rallying cry for the growing Black Lives Matter movement and sparked more outrage nationwide over how black people are treated by police and the criminal justice system. But the case hasn't fit quite so neatly into the American narrative of white authorities imposing justice unfairly on black people. In this case, the defendant, trial judge, state's attorney and mayor are African-American; at the time of Gray's death, so was the police chief. After the verdict, Black Lives Matter activist and Baltimore native DeRay Mckesson aimed his criticism at the entire system. "Today is a reminder that there is a set of laws, policies and police union contracts across the country that will protect any form of police behavior," he said. 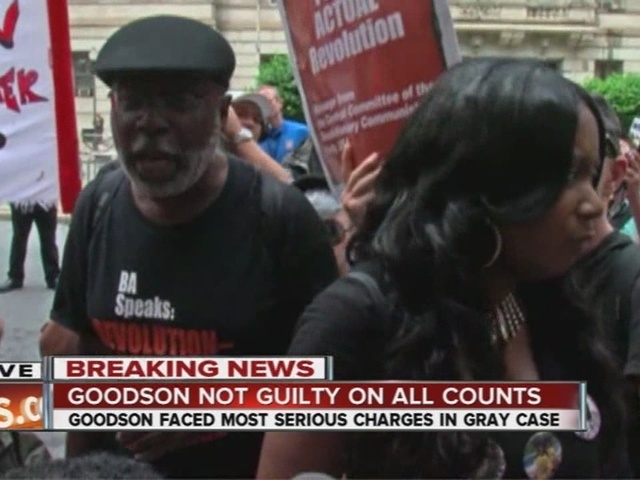 Goodson was the only one of the six officers charged in Gray's death to be accused of murder. He's the second to be found not guilty, and another officer's case ended in a mistrial. Baltimore Judge Barry Williams also ruled that the state failed to prove manslaughter, assault, reckless endangerment and misconduct in office. "There has been no evidence that this defendant intended for a crime to happen," Williams said, adding that "the state had a duty to show the defendant corruptly failed in his duty, not just made a mistake." When State's Attorney Marilyn Mosby confidently announced the charges last year, she seemed to reflect the anger of many people in Baltimore who saw the case as open-and-shut. Many still feel that way, McKesson said. "It's a matter of fact that he was alive when he got in the van. It's a matter of fact that his spine was severed," he said. "Six people contributed to that." Prosecutors said Goodson was criminally negligent because he didn't buckle Gray into a seat belt to keep him from slamming into the walls of the van's metal compartment after officers bound his hands and feet. The state also said Goodson exhibited a disregard for Gray's life when he chose not to call a medic after Gray repeatedly indicated that he wanted to go to a hospital. But Goodson wouldn't talk to investigators or take the stand at trial, and there were no witnesses or cameras to show what happened inside his van, leaving the state with slim evidence of intent to harm. "The state failed to prove the defendant knew or should have known that Mr. Gray needed medical care," the judge said. "The failure to seatbelt may have been a mistake or it may have been bad judgment, but without showing more," he added, "... the state has failed to meet its burden to show that the actions of the defendant rose above mere civil negligence." The judge said Goodson wouldn't have been able to determine whether Gray was injured between the second and fifth stops on the 45-minute trip, because only after the van finally arrived at the Western District station house did officers observe Gray with blood and saliva on his face, and evidence that he'd become incontinent, Williams said. "Unlike in a shooting or a stabbing, or a car accident, this injury manifests itself internally," Williams said, citing conflicting testimony from medical experts. "If the doctors weren't clear, how would a person without medical training know?" The judge also dismissed the "rough ride" theory, which he called the centerpiece of the state's case. Proving it required evidence of actions and intent, and the state provided neither, he said. "Seemingly the state wants this court to assume, because Mr. Gray was injured, that the defendant gave him a rough ride," Williams said, adding, "there is insufficient evidence to prove the defendant gave Mr. Gray a rough ride." Gray was arrested April 12, 2015, after running from an officer on bike patrol outside a public housing project. A neighbor's video showed him handcuffed behind his back and hoisted into Goodson's van, which made six stops on his 45-minute odyssey to the nearby station house. The violence following Gray's death a week later forced Maryland to bring in the National Guard. Mayor Stephanie Rawlings-Blake fired the police commissioner and then abandoned her re-election campaign. The Justice Department is formally investigating allegations of widespread police abuse. The mayor noted that Goodson still faces an administrative review by the police department, and her likely successor, State Sen. Catherine Pugh, pleaded for patience. "Although people may disagree with the verdict, it is important to respect each other and to respect our neighborhoods and our communities," Pugh said. Mosby appeared crestfallen as she hurried out of the courthouse, climbing into a black SUV that sped down the street, away from the crowd. Baltimore defense attorney Warren Alperstein, who isn't involved in the case, said the state now faces "significant issues moving forward" against the other officers. "The state's attorney's office has committed to seeking justice," he said. "On the other hand, does there come a time when you have to cut your losses?" New York-based defense attorney Barry Slotnick, who successfully defended "subway vigilante" Bernard Goetz in a 1984 subway shooting, said he believes "The DA's office is stuck." "If they withdrew the charges, the community would be outraged," he said.